The Legal Genealogist is still trying to catch up from the time constraints of the institute season… and it’s not quite over yet. From the Midwest African-American Genealogy Institute (MAAGI) through the Genealogical Institute on Federal Records (Gen-Fed), the Genealogical Research Institute of Pittsburgh (GRIP) and the Institute of Genealogy and Historical Research (IGHR), the last month has been a bear. And, as always, that means time is tight. So… how’s about we have a little more fun with the legal lingo… and with today’s installment of legal alphabet soup. 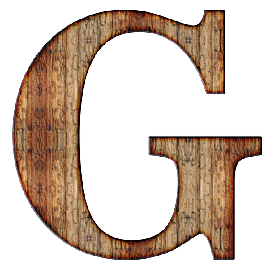 So, for today, G is for “GAINOR”. Doesn’t seem like this would be a hard one, does it? One who makes a gain is a gainor, no? This, in the law, is the kind of word you might encounter in a manor document from England. And it’s sure the kind that’d be tossed around to describe most of my early English ancestors, that’s for sure. Yeah… “A person attached to a manor, who was substantially in the condition of a slave, who performed the base and servile work upon the manor for the lord, and was, in most respects, a subject of property and belonging to him.”5 But at least, in this context, with only certain duties related to the land, and not any old thing the lord wanted. So if there was anything you or I might think of as a gain?